The Greencore Way describes who we are and how we succeed. 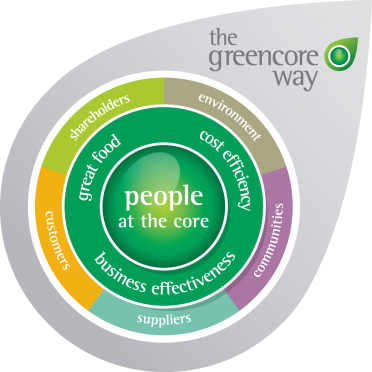 It is a simple model that brings together the key elements of how we operate at Greencore. It is organised around four core principles. Our people are central to everything we do, from our manufacturing operations, to our latest recipes and products, and our relationships with customers. We believe that we ultimately differentiate ourselves through our people. We have a passion for food and invest every day to provide our customers with great, tasty and nutritious products. We are committed to continuously improving our business to make it more effective at delivering for our customers. We instill a strong culture of cost efficiency that helps us succeed as a private label manufacturer in one of the world’s most demanding retail markets . These principles guide our decision making.